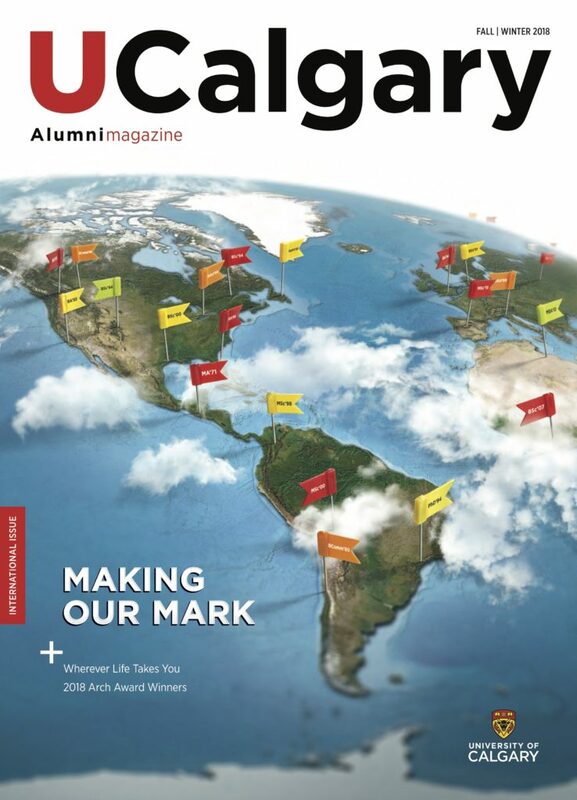 UCalgary Alumni Magazine charts new territory by linking the university to the greater Calgary community and beyond. The magazine features the people who make the university what it is–our students, staff, faculty and alumni–and the issues that make the university relevant in the lives of Calgarians and Canadians. The magazine provides well-written, approachable content with news and research highlights, profiles, in-depth features and opinion columns, all designed to reflect the university’s momentum, energy and excitement. UCalgary engages Calgarians interested in their education and involved in their community.